Home » Are Hair Transplants Permanent? 1 Is Hair Transplant Permanent? 2 Why Are Hair Transplants Permanent? Most men ask, “Are hair transplants permanent?” when seeing a hair loss specialist or doctor for the first time. It’s natural to wonder if the treatment is effective and permanent. Surgical hair restoration is the only life time treatment for hair loss. There are other treatments and remedies, and some are effective, while others are only inflated claims. However, the bulk of these remedies must be perpetually repeated or any progress gained will inevitably be lost once treatment ceases. Thankfully, this is not the case with a typical hair transplant procedure. Hair transplant surgery was first introduced in 1959 by Dr. Norman Orentreich. His famous publication detailed a procedure that used large plugs, about four to six milimeters in size. Since this time, the procedure has been revolutionized. Men experiencing hair loss now have a variety of options when it comes to permanent hair replacement. Still, men wonder, is a hair transplant permanent, or will the procedure be a temporary fix to a common affliction? The answer to whether it will be permanent is a resounding yes for most men. Follicular transplantation is widely recognized to produce the most natural results. These follicular units are micro-sized bundles of hairs that occur in the human scalp. It takes significant skill to obtain these tiny bundles of hair from the donor area and place them in a way to maximize cosmetic benefits. Modern types of hair transplants available are well-regarded and reported to be successful in most men. The more traditional method of surgical hair restoration is called Follicular Unit Transplantation (FUT). This procedure involves having a long, thin strip of donor scalp removed and set aside. This strip is then dissected and divided while placed under special high-powered microscopes. The newer procedure is referred to as Follicular Unit Extraction (FUE). This treatment involves removing individual follicular units directly from the scalp. Once these hair follicle units are harvested, the rest of the procedure is primarily identical in both FUT and FUE. Hundreds to thousands of needle-sized holes are created in the recipient area to receive the transplant grafts. After the sites are generated, the follicle units are grafted in place. This part of the procedure can take several hours or longer depending on the extent of the hair loss. Both of these procedures result in a successful hair transplant. Life time success can be expected by a significant number of men who choose to undergo either of these procedures. 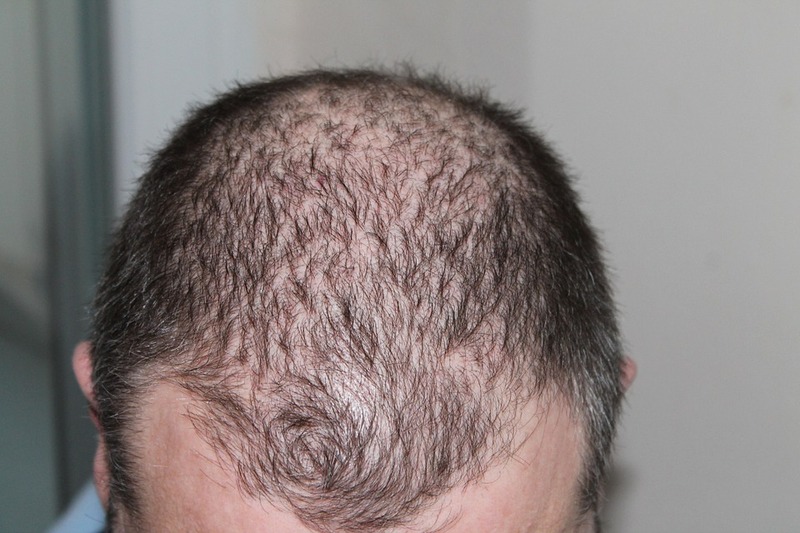 The follicles are expected to produce new hair within two to three months after the hair transplant. After a year, the transplant should be thicker and fuller. The aesthetic arrangement of transplanted follicles is what creates the most natural-looking results. Men considering hair transplant surgery should be aware that in order to be a successful candidate, a few basic criteria have to be met. Men must have experienced enough hair loss to affect the way they look at the time of the procedure. Men must have realistic expectations about what hair transplant surgery will be able to accomplish. Men must have enough donor hair available to satisfy current and future needs for hair replacement. Hair transplant surgery isn’t a preventative method for hair loss. It’s a treatment that is used for men who have experienced enough hair loss to affect their appearance. While hair transplants cannot prevent the progression of genetic hair loss, this procedure can successfully address the after-effects of this type of hair loss. An early transplant isn’t necessary to be effective, except to address specific cosmetic concerns. In most cases, a hair transplant procedure lasts a lifetime. Over time, additional transplants to replace thinning hair that was still present during the surgery may be necessary. This is expected. However, transplanted hair should remain in place once the procedure is completed, leaving most men with fuller and thicker hair.